The Sims 3 Island Paradise introduces resort management to the game; finally our sims can run a business! Resort management is much more detailed than owning a venue, which was the only way to sort of run a business before. I’m going to share some tips with you to help you get the most out of managing resorts in the new Island Paradise expansion pack. The first tip I have for you is to start small. Unless you just want a resort for your sims to visit when they need a break from their homes, you shouldn’t build a huge resort right away. To get the most out of your resort management, you should give your resort time to develop. It takes time for guests to visit your resort, leave reviews, and spread the word about how great your resort is. If you build a huge, full featured resort right away, your sims would likely lose money on all the expenses and the resort could go out of business quickly, even if it’s the most beautiful and amazing looking resort! The new town, Isla Paradiso, includes a rundown resort called Hobart’s Hideaway. Your sims can buy this resort for §0–what an amazing deal! Fixing up this resort will also help you learn the ropes of resort management before you set off to build your own amazing resort. You can buy the resort using the real estate options on the phone, drop by city hall, or just click on the resort when your sim is cruising by! The two things all resorts must have in order to operate are a front desk and a resort tower. The front desk includes most of the options you need for managing your resort, including setting the price for guests to stay at your resort (best to start off at the affordable level), managing maintenance staff, checking the resort finances, etc. One of the biggest challenges to enjoying resorts is working around the resort towers! These are big objects that cannot be fully customized, but they are essential to running a successful resort. The majority of your guests will stay in the resort tower, and the bulk of your profits will come from having at least one. If you truly hate the look of the resort towers, you can hide them in a basement below ground–just make sure to add stairs and have enough room around the tower for guests to get in and out of it. Also, if you just want to manage a small resort, you can open your resort with just one beach bungalow tower. Your resort guests will need to be able to eat while they’re staying at your resort. You can provide room service by clicking on the resort tower and setting the room service option to ON, but a buffet will be needed. Your guests will always complain about your resort not providing their favourite buffet option unless you add 8 buffet tables with each type of food available, but you can start small and place buffet tables as you can afford them. Make sure your resort has seating for at least 8 sims in the dining area. The food stand is another great option for feeding your guests. The food stand sells special snacks and drinks, and has an attendant. You can customize the outfit of your food stand attendant also, just by clicking on the stand. Both the food stand and the buffet tables offer three levels of quality. In the beginning, it’s best to start off with the lower quality food options and improve them as your profits increase. Guests at your sim resort will also need fun activities to make their stay more enjoyable. A firewalking pit is a must-have for any resort! You will also need to provide a gym for the guests to burn off all the food they consume at the buffet. If you have two treadmills and two weight machines, that will be enough to please your guests. When you can afford it, feel free to expand your gym even more. Upgrade everything to unbreakable or self-cleaning as soon as you can! Of course, no resort is complete without a pool! It doesn’t have to be huge, but you should add a pool that is large enough to include a pool bar for the adults and a slide for the kids. A diving board and a decorative waterfall are also great options if you have space for them! Once you add the pool, make sure to click on it and select the “Chlorinate” option to keep the pool clean and fresh. A hot tub is another great addition to any resort. You can set the temperature by clicking on it. Since hot tubs get broken easily, I highly recommend upgrading it to unbreakable as soon as you place it in your resort (a high quality maintenance crew wont help the resort if they keep getting electrocuted by a broken hot tub). Once you have all of these features in place, you can add a few extra things for your guests to enjoy. A wedding reception area is definitely a nice touch to any resort, especially if you place it in a location with a gorgeous view! 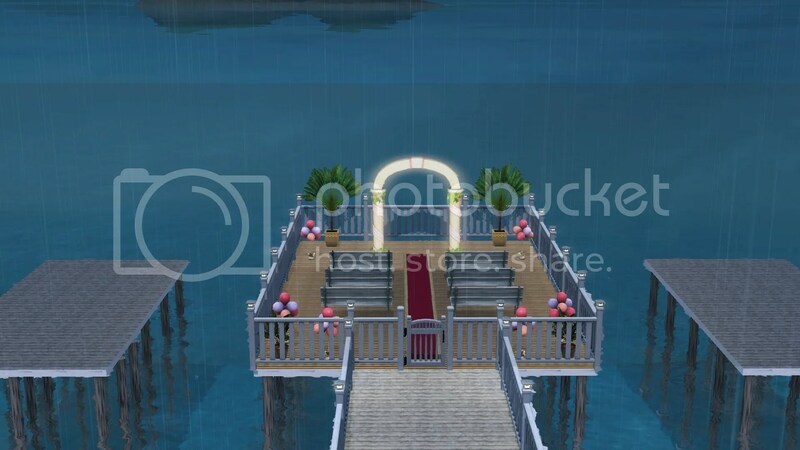 There are several wedding blueprints available in the resort blueprints catalog–I added one of the beach style blueprints and then customized it to my liking. Excellent landscaping and interior decorating will also boost the overall rating of your resort. Guests enjoy having a lot of plants around the resort, as well as paintings and sculptures. Upgrading your resort tower will provide more rooms for guests and is an excellent investment because more guests leads to more profits. A fully upgraded resort tower can also provide spa services (click on the tower and select toggle spa services ON). The maintenance crew is very important to running a successful resort. Hire 3 high quality maintenance workers as soon as you can afford it. They will keep the place tidy and fix anything that needs to be repaired. You should hire a maintenance crew even if you plan to have your sim work at the resort daily. I found there are certain tasks (like cleaning the buffet table) that only the maintenance crew can perform. Anything else you add to your resort, such as a sauna or bowling lane, will not boost your resort’s rating, but will add to your personal enjoyment of the resort management gameplay. I’ve added entertaining objects like slot machines, television sets, and arcade games and I do enjoy watching the guests play and have fun at the resort. Feel free to add as much stuff as you want to make your resort unique and interesting, but keep in mind that most things your resort needs will be found in the resort tab of the buy mode, or in the resort blueprints. I hope these tips help you to get the most enjoyment out of the awesome new resort management feature! Feel free to ask any questions you have about resorts, and I will do my best to answer them. You might also be interested in taking a look at my first custom resort, Highborn Haven. 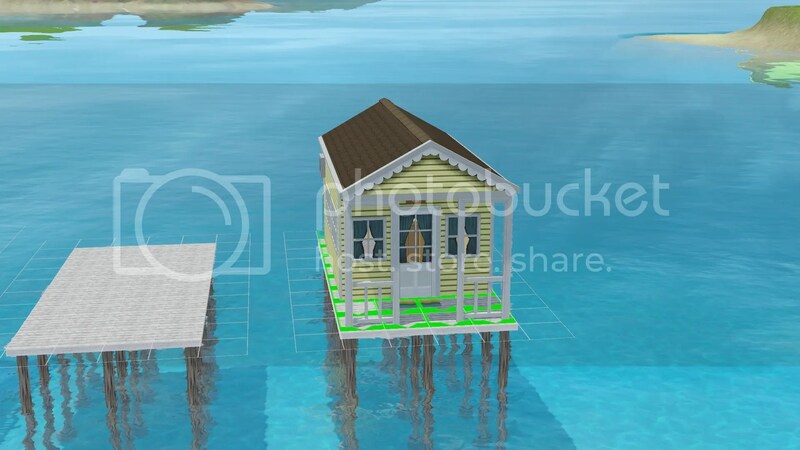 This entry was posted in Sims 3 and tagged custom uniforms, firewalking pit, gameplay tips, guest rooms, Island Paradise, real estate options, resort management, resort staff, resorts, sims 3, VIP locks. Bookmark the permalink. You’re very welcome! Resort management is my favourite aspect of the new expansion pack 😀 My sims are both self-employed, so they cannot check into any resorts right now (I hope EA fixes that bug soon!!) but managing the resorts is where the fun is at for me anyways. Let me know if you have any questions when you get started on running a resort. There’s a lot to do, but it’s not very difficult and just lots of fun 🙂 Thanks for the feedback on my first Gameplay Tips post 8) I really appreciate your support! See… I just learned something else – I did NOT know self-employed couldn’t check-in. That’s a shame, they need fun time too. When I get going, I am sure to have plenty of questions. Thanks in advance for your patience in walking me & others through this! No.no… you have it wrong, my friend, I have learned so much about the game while following your various stories, drooling over your builds, and paying attention to your feedback when others ask questions on the wall. Thank YOU for sharing your knowledge! It is I who is thankful for your support!! There is also a KNOWN ISSUE where maintenance workers can go invisible! This has something to do with their uniforms. The way to get them to become visible again if this issue has happened is to invite them to join your sim in any activity that would force them to change outfits–such as inviting them to swim with your sim, or join your sim in the hot tub. If you have the massage table, you can click on the table and select the option to give a massage to another sim, then a menu will open with all the available sims listed. Your maintenance workers will appear in that menu, and if you select them, they’ll come over and change into their sleep outfit for the massage. Alternatively, you can just wait for the invisible workers to become visible again, as they will in time. I have only seen this particular bug occur with the maintenance workers, and since it happened to me, I’ve stopped giving them custom uniforms. I am happy enough to see them wearing a standard hotel uniform. I hope this helps you resolve your missing staff issue! Keep an eye on your workers–some of them may start playing around at work, and go swimming or enjoy other resort amenities instead of doing their job! These workers need to be FIRED immediately and then you just hire a new worker to fill their old job. Most resort workers do their jobs as they’re supposed to, but some have traits that make it impossible for them to resist playing around at your awesome resort 😉 Best of luck, and happy simming to you! is it posible for you to make you own rooms or resort towers? It is not possible to make your own resort towers, but the VIP guest rooms are rooms you can build yourself. There are blueprints that you can use if you want, but you can build them entirely from scratch. I really enjoy building the VIP guest rooms and suites! Unfortunately when your sims check in at the resort, they don’t get to pick which room or suite they take. I had hoped they could make use of a Honeymoon Suite if they were on their honeymoon or a family suite if they had little ones with them, but they don’t get to pick. Thank you for the feedback about this guide, please let me know if there’s anything else you need help with. Happy Simming! great guide! is it possible to live at your resort? You cannot technically live at your resort, as there is no where to deliver your mail. Your sims can build a suite for themselves and stay at the resort as much as you like, however. The space you build for your sims cannot be locked to prevent other sims from entering, unless you have the Barrier to Entry System from the Sims 3 Store. With the Barrier to Entry System, you can set a lock that allows only your household to pass through the door or turnstile (I recommend the door style for your purposes). That will prevent any resort staff or guests from entering the space you made for your sims. You will still need to send your sims to their house every couple of days to pick up the mail though 😉 Good luck and enjoy your resort management!! I’m having a little trouble with my resort – I’ve built a relatively large one but no guests seems to show up even if it does state that my resort is at 50/90 occupancy. Do more guests arrive over time? Is this a bug? The numbers of guests will go up, but it is important to know that these numbers are “fudged” a bit. By that, I mean that the number of guests checked in at your resort is not the number that you will see using the pool, gym, buffet, etc at one time. One of my resorts holds 110 guests, but the game cannot show all of those sims on one lot! Even the 50 guests your resort is hosting cannot all be seen at once. So it is implied that they are all inside the resort tower or something. However, it is unusual to not be seeing at least 10 guests around your resort lot at one time. I just started a small resort on a 30 X 30 lot and was shocked that most of the time, there are 10 to 15 sims swimming in the pool at one time!! So my questions to you are, what kind of activities are available to your resort guests? Do you have a pool, hot tub, firewalking pit, or other outdoor activities for them to do? Do any guests use your buffet tables? If you never see guests using anything, there could be a bug. However, this could also be an issue of resort design. I am preparing another resort management post that will cover increasing resort profits, as well as designing resorts to increase the guest usage of amenities, such as the gym equipment and special items some players are able to add (the sauna, for example). It is true that the way the resort is designed and laid out does effect how often certain amenities are used. I would be more than happy to take a look at screenshots of your resort to help you uncover if it’s a design issue or if it’s a genuine bug. Feel free to email me if you like. What is a firewalk pit? I can’t figure it out! The firewalk pit is found in the Resorts tab, and it’s a 3 X 1 pit that goes on the ground and has hot coals in it. If you look at the 5th screenshot in this post, you’ll see the female sim is just about to walk on the firewalking pit. Perhaps that will help you locate it in the build/buy menu. In your guide you said you could hide resort towers underground, but I have yet to find a way to do this. When I attempt to place one of them in the basement levels it tells me the ceiling is too low. Is there a special trick that I am missing? I have recently bought the Island Paradise and havent had a chance to explore all of its content. However I tried to check in at a resort and there are no attendant at any of the resorts in the town. My Sim do own a resort and there is no option of assigning someone to the front desk. I have Nraas mods and was thinking if they might be the problem? No, the problem was apparently caused by self-employed sims in the town. I guess this means EA still hasn’t fixed that bug? What a surprise… If you have a mod that you can use to assign jobs to everyone, you might be able to fix the problem by assigning proper careers to the self-employed sims, but I’m not certain that will fix the problem in a neighborhood that already got glitched by this bug. It might require a new neighborhood, but you can try just making sure everyone has a career instead of self-employment jobs. I loved this article and it’s been one of the only useful ones I’ve seen. In my most recent game my sim owns a resort empire and has bought all of the resorts and turned them into 5 star resorts! My sim even has opened one from scratch and is about to open another, this article really helped! I’m so glad to hear that you found this post helpful 🙂 I found the resort gameplay to be my favourite feature of the EP! how do I do it? I took a too small lot for a resort and now I’m kind of stuck. Okay, it’s been more than a year since I played it, but I think you can just sell the resort back to the town by using your telephone and select the real estate options. I’m not 100% sure about that, but I think you can just sell it back. This article was incredibly useful, thanks! I am having a major issue with my resort though, I was wondering if you might have the answer, if not that’s fine but I thought it worth a shot. Basically there’s never an attendant at the reception desk, even though I have one hired and the shifts set. I’ve even seen them come out the resort tower, but they’re just never at the desk. I’ve tried hiring different sims and setting different times but they’re just never there. I heard that issue has to do with someone in town being self-employed? I’m not sure because I stopped playing Sims 3 as soon as Sims 4 came out, but I’d read a lot about that issue in the Forums back when the EP came out. My big issue was with the maintenance crew disappearing, but I’m pretty sure the lack of receptionist is because of someone being self-employed. Perhaps try getting them to quit their job and see if that works. There might be a mod to fix it, if EA isn’t putting out any more patches for that game. I know mods are not the best solution, but now that they have moved on to Sims 4, I really think it’s the only way to get such major issues fixed. I wish you good luck! Let me know how it turns out for you! It’s been a long time since I played with this EP because Sims 3 was very unstable for me and I moved on as soon as 4 was released, so please understand that my reply is based on the unmodified pre-Into the Future expansion (no doubt there was a game update that came out with that EP and might’ve fixed some things in IP) I think since you have already built the resort, you might as well see if you can manage it anyways. It’s not that challenging, if you just do your best to keep on top of the reviews and make sure your resort is nice and tidy 😀 I also built a resort with the tower hidden in the basement, which was very nice on those small lots especially (there are some nice islands to build smaller resorts on that are lovely). I think that your little gift shop idea is pretty cool, but it might not work on a resort lot?? I’m not 100% sure, but I had trouble getting some registers to work on resorts and wasn’t able to host Showtime performances on resorts either. You should try it though–I hope it would work out! That would be so neat–and if it doesn’t, perhaps there might be a mod that would help you make it work. I always thought the resorts were fun and were at least a type of business my sims could run in Sims 3, but it was also lacking in some ways (namely that there isn’t anything to do but maintain after a resort reaches 5 stars). If the register you’re thinking of using is the one from the Store, with the premium content for sort of running a store, I have no idea at all if it’ll work. However, the bistro DLC came out after Island Paradise and it DID WORK with resorts, so it could be that the Store content that came out after IP was all designed to work with IP?? I’m not too sure, but it’s a better bet than trying to use registers from before Island Paradise, including the elixir register from Supernatural, I would guess… it’s only a guess though. Please let me know how it works out for you!